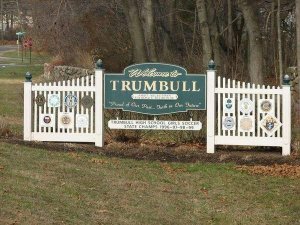 We will buy your Trumbull, CT house for cash and will close SUPER FAST! Call or Text Us today – 203 306 0962 and get an offer within 24 hours! Selling a house in Trumbull, CT can be very stressful, especially if you have multiple people like realtors and their clients to deal with – It’s definitely not a walk in the park. There are many reasons why you would want to sell a house fast in Trumbull, CT. If you still haven’t decided how to sell your house fast, we are your perfect partner and can help you to get the best cash deal in Trumbull, CT without having to go from realtor to realtor and waiting several months and several price reductions to sell your house. To Sell your house quickly for cash in Trumbull, CT is easy with Fair Offer CT. Do any of the following apply to you? Your lost your job and can’t afford to pay your mortgage. You’re in Foreclosure and about to lose your house. You owe property taxes due to loss of income. Your are getting divorced and have to sell your Trumbull, CT house fast. You need money to pay for your children’s college funds. You have bad or non paying tenants. You inherited a house and live out of state. Selling your house in Trumbull CT with a realtor will not only take up a lot of time and energy, but it can also be very stressful. This will involve many meetings with realtors, many open houses and you will be scratching your head asking who will buy my house in Trumbull, CT.
We are the premier house cash buying company in New York. We can close in as quickly as we can or whenever your are ready. Connect with us for hassle-free quote to sell your house fast for cash. We also buy Houses for Cash in the following neighborhoods: We buy houses in Stamford, Greenwich, Hartford, Bridgeprort, New Canaan, Brookfield CT and all surrounding areas including Westchester County, Putnam County, Rockland County, Long Island and the five boroughs in NY.